1919 was the year that the Muska Lighting tradition began. Now almost 100 years later, Muska has never looked better. We currently have two showrooms in Roseville and Eden Prairie to better serve the Twin Cities community. With our strengths in lighting design, knowledge, experience, and service, we guarantee a pleasant, stress-free environment to enhance the creativity of your home lighting needs. At Bicycle Glass Co, our philosophy about lighting is simple. Each light should be beautiful, functional, economical and sustainably made. Each light is made by hand, one at a time, from 100% recycled glass by skilled artisans in the United States in a workshop increasingly powered by renewable energies. *Authorized Hinkley Lighting Dealer* Celebrating 90 Years in Business! Creative Lighting has been a family owned and operated business since 1926. We pride ourselves with being Minnesota's only lighting provider where the online and in-store experience combine to ensure you save time, get the right advice, find the right fixture at the right price, all backed with a commitment to service and the community since 1926. Every day we work to earn trust by: -Listening and guiding clients to appropriate solutions. -Collaborating with our clients to ensure viability and performance of those solutions. -Providing quality products and advice to maximize the clients experience and product performance. -Evolving to keep up with changing technologies, styles, codes, and consumer trends. Colorful, customizable classic light fixtures including urchin, Sputnik, and globe chandeliers, flush mounts, pendants, and sconces ranging from styles traditional to mid century modern. 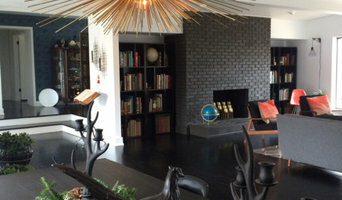 Offering a broad assortment of lighting, accessories and case goods, The Collection on 5 is Minneapolis' most unique lighting showroom. We offer top lines like Zia-Priven, Bocci, Moooi, Flos, Fine Art Lamps and over 100 others. Artisan decorative landscape lights designed and produced in Minnesota. Our sculptural fixtures provide excellent lighting and intriguing shadow patterns. Residential and commercial lights with custom design available. Bellacor is a one-stop site that promises a new way to shop the entire lighting, home decor and furniture industry from the comfort of your home by providing superior personal service and access to the largest collection of lighting, home decor and furniture on the web. THE LARGEST LIGHTING SHOWROOM IN THE MIDWEST! We're Dedicated To Making Your Lighting Experience Easy And Enjoyable When you visit our lighting store and showroom, you’ll have access to 25,000 square feet of modern lighting options and home decor. We’ll help you find the perfect style for your home, no matter if you need kitchen lighting, bathroom fixtures, or ceiling fans. We look forward to hearing your ideas and helping you achieve the right look and feel for your home! Southern Lights is dedicated to making your lighting experience easy and enjoyable. We display every possible style in our showroom, from historic crystal to ultra-contemporary lighting. With over 25,000 square feet of displays, including our wall decor and home accessories gallery, you will surely find something you love. Across lakes and over oceans, tucked into the sloping hill of a Mediterranean village, artisans deftly maneuver rivulets of melting glass. Masters of an art form founded by their ancestors, these latter day Phoenicians are the glass blowers of the modern world. This is BAHIR, where ancestral glassmaking traditions meet pioneering innovation, transporting the Mediterranean to Minneapolis–Saint Paul. Derived from the word Nehir, meaning light in ancient Hebrew, BAHIR was founded by veteran oriental furnishings importer Kurosh Amrami. Initiated at the age of six into his family’s exotic carpet business, Amrami accompanied his father from province to province, studying each creation’s construction and provenance. Now, primed by decades of amassed expertise, Amrami combs through artisanal ateliers, handpicking glass masterpieces. With his current selection comprised exclusively of elegant glass lighting and décor he brings you his unparalleled selection that is: BAHIR. Enveloped in a hospitable, warm and colorful ambiance, clients are invited to pick the perfect Mediterranean glass for their imagined light-scape. Next, our team of experts goes to work, customizing every handcrafted detail until each client’s vision has been achieved. The final result is a mélange of sophisticated, elegant, delicate glass melting into rich hues of light and shadow that captures our clients’ dreams. As one of eight galleries worldwide, we exclusively feature Visual Comfort & Company as well as Ralph Lauren lighting in our 1300 square foot showroom located in International Market Square in Minneapolis. With over 400 fixtures on display, we offer free shipping to the showroom, products available for purchase from our showroom floor and expert assistance to make selections appropriate for your design. When Todd Pearsall came up with the name for his boutique lighting showroom more than fifteen years ago, he liked the simplicity. Filament: A single thread or strand made incandescent by electric current. Today, the thread that lights the fire under Pearsall is the creativity he brings to the clients whose lives he illuminates. “I believe that having a one-on-one relationship with my clients is the key to finding the lighting solution that works best with their personal space,” he says. “I’ll begin a consultation with plenty of questions to get a feeling for their style. Curvy or square? Artful or utilitarian? Clear glass or colored? Beautiful design and functionality are our goals at Filament.” Known for working closely with homeowners, as well as with builders, architects and designers, Filament creates dynamic lighting solutions for both rural and urban environments. “We do projects for townhouses, large commercial and residential developments, farmhouses, city lofts, bistros and salons,” comments Pearsall. 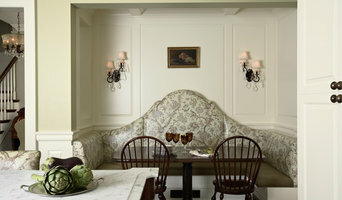 “We use lighting to make small spaces seem larger, and larger spaces feel more intimate. We put together layering effects to create a mood that is ambient, yet functional.” It’s an approach that makes Filament one of the top independently owned lighting showrooms in the Minneapolis/St. Paul area. We have a new location and look, come visit us soon! Located in the historic North Loop neighborhood of Minneapolis, Minnesota, our premier lighting showroom offers an abundance of opportunities to create an upscale environment by offering state of the art and efficient lighting products. 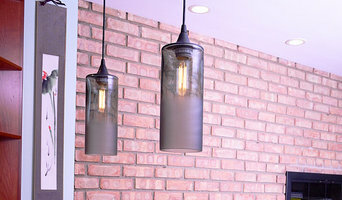 We have a full range of lighting products with styles from traditional to ultra-contemporary and everything in between. Our 5,000 square foot showroom displays hundreds of lighting fixtures, ceiling fans, home décor and accessories for every style and application so stop by to spark your imagination! Not sure where to start with your lighting project? Our team of professionals can help with design and layout for commercial and residential settings or they can help you find that one special fixture. Walk-ins are always welcome or contact us to set up a free consultation with one of our experienced showroom staff. Lappin Lighting is a division of Pahl's Designer Showrooms and JH Larson Company. At River of Goods, we love what we do. We are a sourcing and product development company that offers unique lighting, home furnishings and décor accents at exceptional value. Drawing inspiration from the rich history of the cultures and cities we visit, our expertise lies in sourcing, designing and developing interesting and extraordinary products to bring to you. A well-lit home is essential for both functional and aesthetic reasons. Lighting designers will analyze your Rosemount, MN home's layout, structure and needs to create an effective lighting plan throughout your home. Though electrical engineers or interior designers can take on the task of outfitting your home with the appropriate lighting, a professional Rosemount lighting designer explores lighting as a technique. Think about how you plan to use each area of your Rosemount, MN home. It's important to communicate to your Minnesota lighting designer which space will be used as an office and which will be a media room, for example, as these will require very different lighting methods. In addition, consider how you'd prefer to control the lights. Lighting technology today includes dimmers, sensors, photocells (that let lights react to the amount of daylight in a space), programmable scene controls (that let you program different settings for varied lighting) and whole-house lighting controls (that let you control all or a portion of your home's lights from one source), allowing you to tailor your lighting controls however you wish. Find a lighting designer on Houzz. Narrow your search in the Professionals section of the website to Rosemount, MN lighting designer. 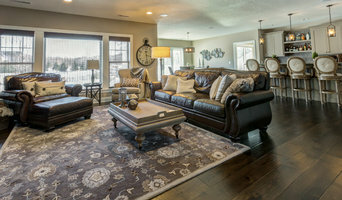 You can also look through Rosemount, MN photos by style to find a lighting design you like, then contact the designer.